This current sensor board is based on the Allegro ACS712ELCTR-05A bi-directional hall-effect current sensor chip that detects positive and negative flowing currents in the range of minus 5 Amps to positive 5 Amps. 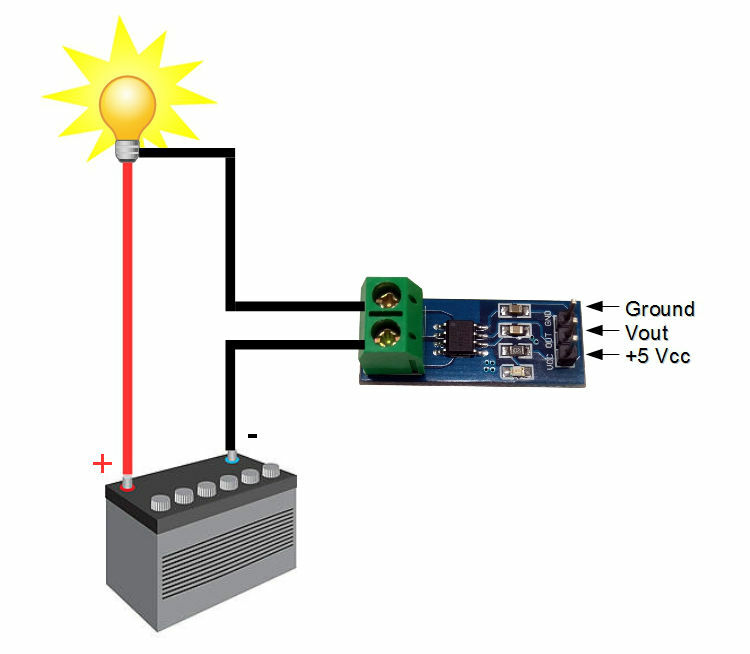 The board operates at 5V DC and the current flow through the sensor is converted to an output voltage starting at 1/2Vcc (or 2.5V) for no current flow and moves up 185mV per amp for positive current or down -185mV per amp for negative current. Will test, if works my way will buy more. Not used yet, but this is what I have been looking for to do some demonstrations on current control.